When the need for bail bonds strikes, it’s never an expected thing. You need to be prepared to take immediate action – as soon as the judge sets bail, you need to take the steps necessary to get your loved one out so they can get back to living their lives, and that means you’ll be working with a bail bonds company. However, there are some important things to know when you need the services of an Indian River County bail bonds provider. One of the most important factors in your choice of Indian River County bail bonds agency is going to be the type of charges your loved one is facing. There are several different types – all of them criminal charges. Local and state charges are the most common, but there are also federal charges. Immigration charges fall under the broader federal umbrella. What’s important to understand here is that some bail bonds companies only post bond for specific types of charges. The company might not work with individuals facing federal charges, or they might not work with immigration cases. That means it’s imperative you find out what areas the company serves before you do anything else. What If the Judge Doesn’t Set Bail? In most cases, the judge will set your loved one’s bail based on the severity of the charges and the likelihood that they will flee after being released. If the judge does not set bail, it means that either the charges are severe, or your loved one has been deemed a significant flight risk. When no bail is set, your loved one has no choice but to remain in jail until the time of their trial. 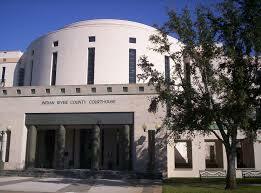 If the judge does set bail, then an Indian River County bail bonds company can help. You will have to pay a bail bond fee, which is usually 10% of the bail amount in state and local cases, and 15% in the instance of federal or immigration cases. Once this fee is paid, the bail bonds company will post bail for your loved one and he or she can get on with life. However, your loved one will have to remain in the local area and be present at the trial. 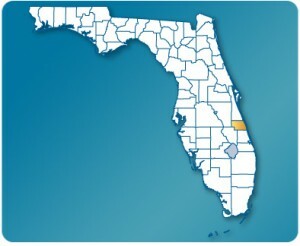 You can definitely bail your loved one out of jail without working through an Indian River County bail bondsman. However, understand that this is far more expensive. While you’ll receive the money put up for bail after your loved one appears for their court date, that can take quite a bit of time, and you will also be responsible for paying the entire bail amount, not just 10% or 15%. When it comes to Indian River County bail bond companies, we offer the helping hand that you need. We can help you understand your options, what you need to do and will even take care of all the paperwork and dealing with the jail to release your loved one. Call us today.